Central America, ages before the conquest of Cortez. 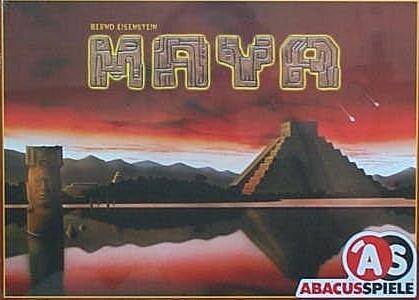 The Maya Culture is in its prime. Huge pyramids like Tikal and Copan are being built. And we are an integral part of it and fix stone upon stone as builder-owners. Unfortunately, we've got some competitors and so there are struggles both at the quarries and at the building-sites. Nevertheless, we unswervingly pursue our aim of placing the largest amount of stones in the gigantic pyramids in order to claim the largest share of the Mayan gold.